It seems factory jobs aren't the only ones robots plan to take over. In Australia, a UAV drone -- dubbed "Little Ripper" -- rescued two stranded swimmers off Lennox Head's Far North Coast earlier today. While such a rescue would be quite a feat for anyone -- robot or otherwise -- it's the speed with which the drone was able to deploy and perform the rescue that is particularly impressive. "It only took 70 seconds from when the Little Ripper drone was launched to when it dropped the pod into the ocean for the rescue, a task that would usually take a lifeguard up to six minutes to complete." said New South Wales (NSW) Parliamentary Secretary Ben Franklin. "This was an extraordinary rescue with the very best possible outcome." To be clear, Little Ripper didn't physically pick up the swimmers and carry them to safety. Rather, it dropped a helpful flotation device nearby which aided them in swimming to shore safely. As fatigue can be one of the leading causes of drowning at sea, this was likely the best approach. 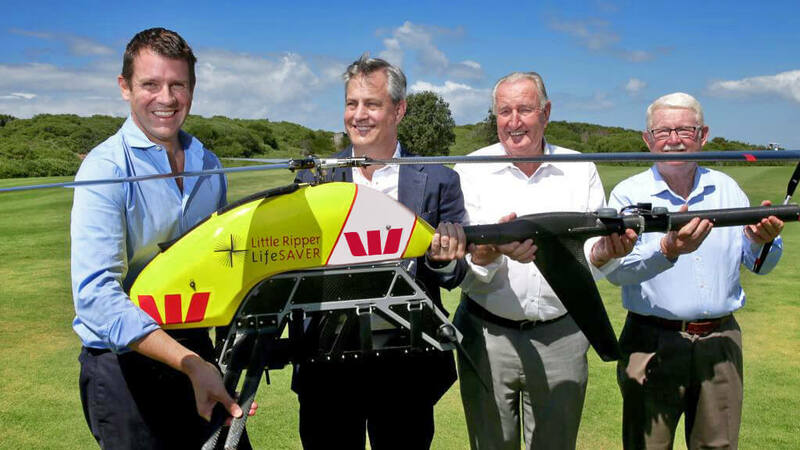 The Little Ripper drone, financially backed by Australia's Westpac bank, was controlled by Jai Sheridan - Lifeguard supervisor and Lifeguard of the Year in NSW. "I was able to launch it, fly it to the location, and drop the pod all in about one to two minutes," Sheridan said to the Sydney Morning Herald. "On a normal day that would have taken our lifeguards a few minutes longer to reach the members of the public." This rescue comes not long after the NSW government decided to invest roughly $430,000 AUD in this sort of drone technology as part of an ongoing North Coast trial. As noted by the Sydney Morning Herald, this is a clear indicator that the investment is already paying off.